Each year, Estia Agios Nikolaos hosts one or more work camps with participants from all over the World. A work camp is a great chance of meeting people through a common project while also experiencing the rich life in Estia together with the residents, staff and volunteers. A work camp lasts between 7 to 14 days and the assigned projects vary but are always designed to be completed within the timeframe of the work camp. The work camp participants eat and sleep in Estia and we try to connect them as much as possible to our daily life. The participants visit our houses for some of their meals and work together with some of our residents. We also welcome activities, presentations and shows that the work camp teams may want to organize. SCI international work camp – 19 participants from all over Europe – 14 days – They built a fence around the garden. Smiley Greece - 16 participants from France - 10 days – They built two pergolas. Freie Waldorfschule Jena – 22 participants – 14 days – They built two stonewalls in the garden. French work camp – 16 participants from France – 7 days – They built one big pergola.  So far, Estia Agios Nikolaos has only organized work camps in cooperation with other organizations. This mean that individuals wanting to join a work camp in Estia Agios Nikolaos, will have to apply through one of the organizations that set up the work camp. The cost to participate in a work camp depends on the organization. If you want to visit the Estia or become a volunteer, you can contact us here.